Tuesday, November 11, is the day the United States honors its veterans. Honoring veterans is something we should all do every day. When you meet a veteran, thank him or her for their extraordinary service to our great country. I first learned about Veterans Day and its significance as a small boy on a trip downtown with my grandmother whom I called Granny Shanks. Every week, my grandmother would catch the trolley car from our Lakewood neighborhood in Dallas and travel “downtown” to the central business district to shop. Often, she would take me or one of my siblings and this was a special treat for us. One Veterans Day, I accompanied her on her weekly outing. While shopping, Granny Shanks stopped and bought a paper poppy to pin to her dress. I asked what the poppy was for and she said, “I’m wearing this for my brother Jesse who died at the Battle of Belleau Wood in France in World War I.” Years later, I was in France on an art tour. On a crisp September morning, we were on a bus on our way to Charte. Our driver said we had some time and we were approaching the American Cemetery where those who died in the Battle of Belleau Wood are buried. It was a beautiful day and a bright blue sky covered the cemetery with its red brick fence, majestic trees, rose bushes and standards of crosses and stars of David row on row. I suddenly remembered my Great Uncle Jesse and went to the guard house where an American soldier was on duty. This was pre-computer and I asked if he could tell me if there was a Jesse Norris buried there. He went through a large directory and found the name. He walked me to a far corner of the cemetery and there it was: Jesse Norris, 19, McKinney, Texas. I was moved to tears and this moment in time was stored in my memory. So I always buy a poppy and I wear it for Jesse. I also wear it for my brother Don who spent 25 years in the Navy and died in a Veterans Hospital. 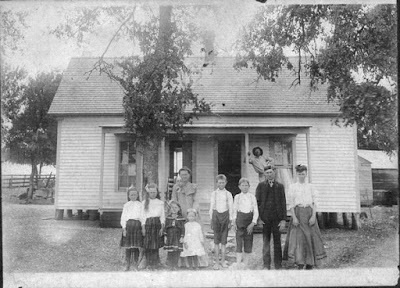 My Grandmother (Granny Shanks) – Far right, Jesse Norris – shortest boy, two to the left of my Grandmother, stand in front of their farm house. This farm in McKinney, Texas and the battlefield in Belleau Woods are the only two places Jesse spent his life. So as we approach this Veterans Day, I ask you to join me in remembering and in thanking all of those who have provided special service, some at the cost of their lives, for all they have done and continue to do. Please read below about recent or upcoming programs at RCC that provide service to veterans. 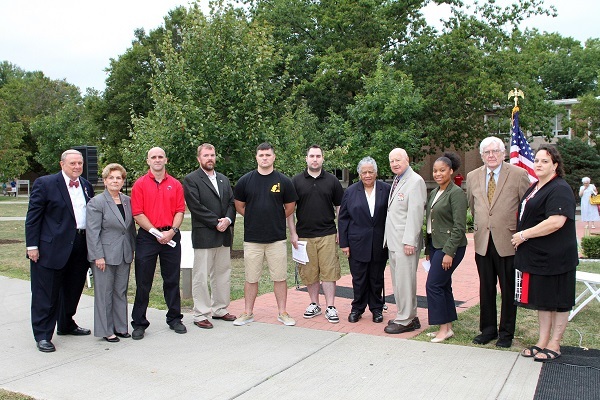 Rockland Community College announces its new Battle Buddy Center to support student veterans’ success. High achieving student veterans will be honored at the October 2 induction ceremony for RCC’s chapter of SALUTE, the national academic honor society for student veterans. The keynote speaker for this event is Colonel Frank L. Donovan, USMC, Director of the Marine Corps Expeditionary Warfare School, based in Quantico, VA. SALUTE was founded in 2009. The acronym stands for “Service, Academics, Leadership, Unity, Tribute, and Excellence.” RCC’s SALUTE chapter was started in 2013 with an inaugural group of 40 students who had attained the necessary academic requirements. Twenty student veterans are candidates for this year’s induction ceremony as RCC maintains its position in the top 20% of schools nationwide in commitment and services to veterans, has been named a Military Friendly School, and remains the only community college in New York State with a chapter of SALUTE. 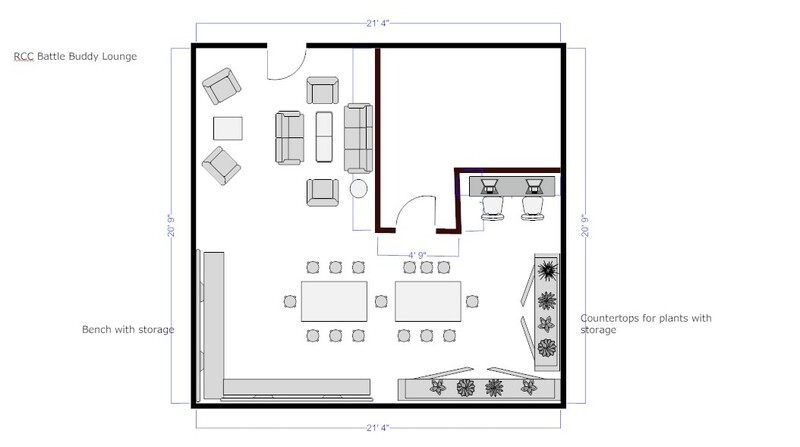 Additional programs for veterans at RCC include a dedicated Veteran’s Affairs office and coordinator, a Veterans Lounge, off-campus trips and activities, mentoring and scholarships. Colonel Donovan entered the Marine Corps in 1986. After attending Harvard Business School’s Advanced Management Program, he assumed his current position as Director of the Expeditionary Warfare School in Quantico, VA. His awards include the Silver Star, Defense Superior Service Medal, Legion of Merit, Meritorious Service Medal with two Gold Stars, Joint Service Commendation Medal, Navy and Marine Corps Commendation Medal with three Gold Stars, and the Combat Action Ribbon. (Left to Right) President Dr. Cliff L. Wood, Assemblywoman Ellen Jaffee, Veterans Daniel J. Greeley, USMC, Jonathan Winfield, USMC, Justic M. Santinella, US Army, Michael C. Monroe, USAF, Arlene Clinkscale, RCC Board President, Senator William J. Larkin, Jr., Shalisha Scudder, daughter of 9/11 victim Christopher Scudder, English Prof. Dan Masterson and Laurie Tautel, Chief of Staff to Assemblyman James Skoufis.